Afterthought is a comedy with something profound to say about life and its obstacles. Two men ascend and descend Haifa’s grand, scenic stairway on Mount Carmel, discovering what unites and divides them and how to overcome their own conflicts. The film is a timely reflection of Israeli society where questions of encounters, shared connections and the principal of “kol Yisrael arayvim zeh lazeh” (all Israel is responsible for one another) are vital themes of national survival. The film is reminiscent of Elad’s 2008 short Anthem (Himnon), winner of the Cannes’ Cinefondation Award, a humorous heart-stirring portrait of connections failing and succeeding in a small but beautiful Israeli village. Anthem, which is available on YouTube, is a guaranteed renewal of your spirit in thirty-six minutes. Elad, who in addition to being an award-winning filmmaker is also a high school teacher and father of two, kindly took time for an email interview about his career, his inspirations, the current state of Israeli film and the latest wave of terrorism on Israeli streets. Q: How did your career in filmmaking begin? A: I was already writing short stories and thinking about movie-tales when I went to cinema studies in Jerusalem after seeing some of the students’ short films. Q: Which directors and movies influenced you? A: There are many. I have a good memory, so everything stays. It is often that the occasional storytellers, when I meet them in life, have an impression that is more lasting over me. I’d definitely count into my programming the Iranian new wave (Abbas Kiarostami), Woody Allen, Luis Bunuel and Eric Rohmer. There also many Israeli films in the pot, of course. Q: Which themes resonate with you? I was very moved by the encounters and connections in Anthem. Are these themes continued in Afterthought? A: Yes, they continue. I assume my recurring themes are loneliness, meaning, randomness, virtue, the origin of good, the illusory power of a story, fellowship of strangers, urban wilderness, detachment and belonging (to name a few! :)). Q: As a teacher, parent and filmmaker, how do you do everything and what is your best time management advice? A: In this field I am a complete failure, and any advice I may give should be strictly avoided. A: I’d rather say what is an ideal day: One on which I play an instrument for an hour, write for two hours, and still make it to an early breakfast. Q: What is distinct about Israeli humor? And about Israeli cinema? A: Israeli humor, for me is an acerbic, sarcastic version of the Jewish town humor. 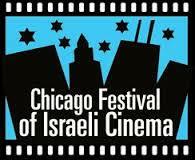 Israeli cinema is very diverse, which fits very well with the multiple sources on which Israeli culture is feeding. Q: Am I accurate in thinking that over the past few years, Israeli movies are becoming lighter in tone? If so, what is behind the change? A: It’s possible. But every ‘wave’ in Israeli cinema in a way causes a counter-wave and so the personal, ethnic family dramas and army movies of the previous decade are naturally left snug on the mantelpiece while new filmmakers are trying out new things. I think we have a very strong desire to keep inventing new stuff. 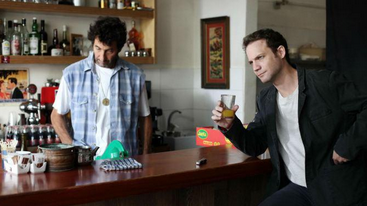 Also, it’s possible that the decline of commercial TV aided the renewed flourish of comedy in Israeli films. But ultimately, I think the genres live side by side, harsh strong dramas and light-hearted feel good movies. There used to be many Israeli comedies in the 70’s, up until the appearance of commercial television. Therefore, I tend to credit its decline with the reappearance of cinematic popular comedies. Q: How did the idea for Afterthought first come to you? Did you make the same or a different film than you originally thought? A: I grew up in Haifa, and always loved the old part of town. It first came to me to make a film there while I was in film school, but it took some time to go for it and really do it. The script changed many times. One of the most important aspects of film making, I think, is flexibility, and I never shy away from changing something for the better. Q: I’ve read about the sweeping, beautiful shots of Haifa in Afterthought. How did you film them? A: It was my cameraman, of course! Ask him. Q: How are your experiences of growing up in Haifa reflected in the film? A: What comes out most, for me, is the strong attachment to the surface of things, to the local combination of nature and society. It’s more of a sensation for me than something to be formulated in words. Q: I read that one scene in Afterthought – where a boy mistakes a woman for his grandmother – actually happened unexpectedly. Could you please tell us the story? A: This happened in an extreme long shot. Some distant action that took part in real life seemed fascinating to me, and I decided to put it into focus while helping it with dialogue. I still don’t know what really happened there, though. It is also greatly aided by the soundtrack, since the characters are very small in the frame. So I guess it epitomizes somehow my approach – appreciating life closely from a distance.